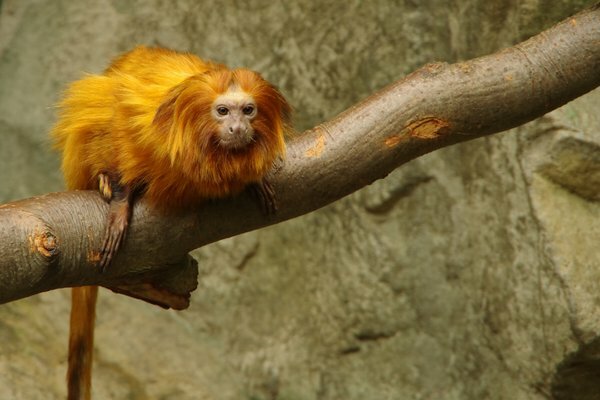 "Golden Lion Tamarin" or "Golden Mamoset" sitting on a branch. A wonderful image of this little endangered species! What a remarkable animal. Nice composition.